This is called Fluorite. It is used in making many important chemicals. What kind of rock is it?. No. Igneous rocks formed from magma or lava. Fluorite is sometimes found as a mineral in igneous rock, but it is not an igneous rock. No. Sedimentary rocks are deposited by wind, water, ice, or gravity, and they often contain fossils. Fluorite is not a sedimentary rock. No. Metamorphic rocks have been changed by heat and pressure from a different kind of rock. Fluorite is not metamorphic. Fluorite is not a rock. Yes! 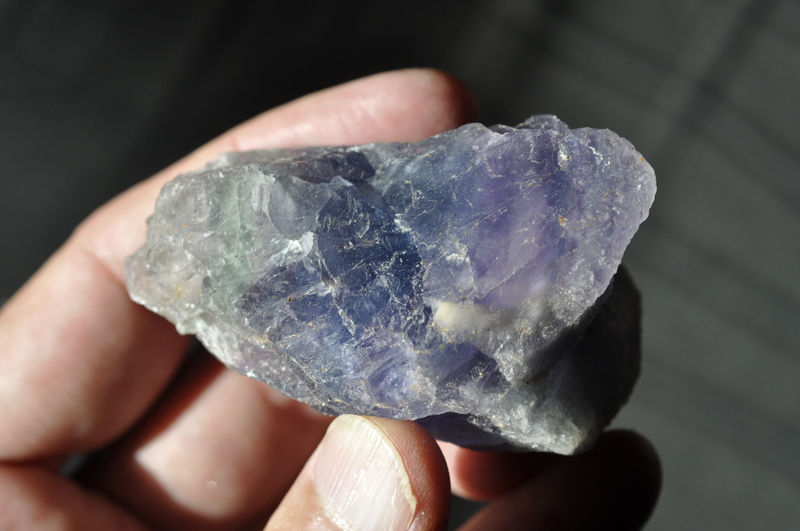 Fluorite is a mineral, not a rock. It is not found in large layers in the Earth.